The architect proposed a new concept for a hotel-complex in Las Vegas. The city, situated in the desert is a unique urban structure. His approach was to work with the site and the location, considering the urban planning context, too. The design included a canyon, an underground hotel and bungalows under the surface. 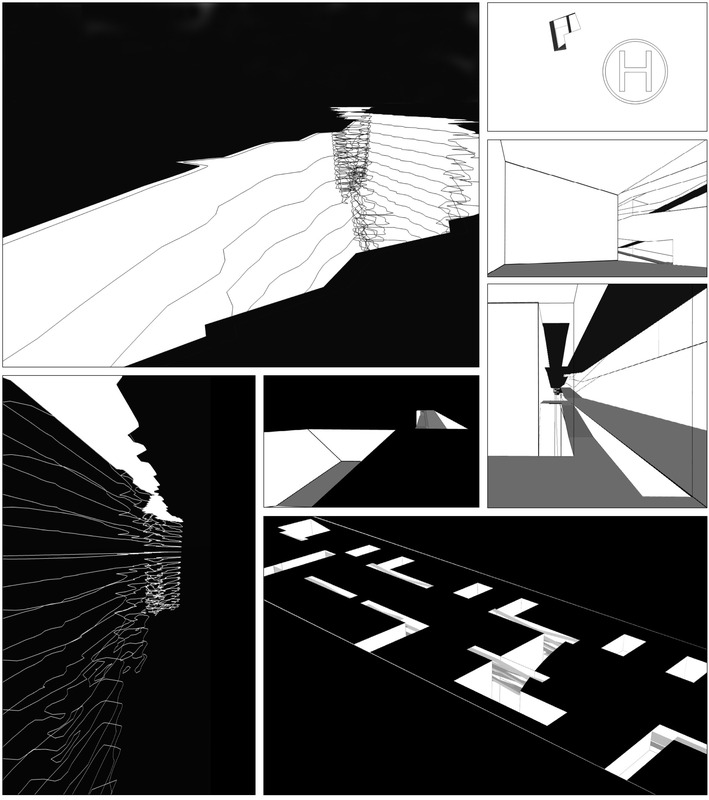 Black and white renderings, almost drawings, where chosen to emphasize the character of the project.